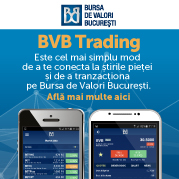 The Bucharest Stock Exchange role is to provide a marketplace for securities trading, to enhance liquidity of securities by concentrating a large volume of asking and bidding on the market, to form fair prices that appropriately reflect such ask-bid relationship, and to distribute such prices to the public. The main service offered by VIENNA Investment Trust is buying and selling stocks of companies listed on Bucharest Stock Exchange and RASDAQ market. If you want to invest on the stock market, you cannot do this directly, but only through an authorized Financial Investment Firm. Filling in the Account opening form, together with the annexes to the contract. Opening an account with VIENNA Investment Trust, respectively a trading account with Bucharest Stock Exchange. Investment objectives and the risk are to be determined. The client shall deposit into the cash account the necessary amount to cover the trading instructions, all taxes and fees including. If the client already has securities purchased prior to signing the contract with Vienna, the securities object of a selling instruction will be transferred from the Central Depository into the Client’s account opened with Vienna. Buying/selling instructions shall be given and the Client will receive the confirmation as soon as possible, but no longer than the legal period from the moment of trade. This is the account that allows the Client to manage himself the portfolio and to decide about the investment opportunities, instruments to invest in and the strategy according to the assumed risk. The instructions of the Client shall be precise, but the Client can still benefit of professional opinions regarding the best investment opportunities. Clients choosing this type of account award VIENNA Investment Trust with their vote of confidence, first of all, with regard to the qualification and professionalism of our team. Following, the decisions shall be taken in their names, about the best fitted investment opportunities, by the designated broker and only within the given limits. This account can be opened either when signing the contract, or any time after that. The company will decide which are the appropriate financial instruments for the entire time the contract is in force. Even for a discretionary account, the Client can, at any moment, place a buying or selling order at his initiative, as he considers it would be more profitable. The Clients who wish to trade directly using an electronic online platform, have the possibility to use the managed account, but they must know and understand the trading techniques that apply for a regulated market. The Client can, at any moment, change his option on the account type, without any supplementary taxes or fees. Before any change is made, we suggest you to check the fees and commissions list of each account type. Copyright © 2009 Vienna Investment Trust.